Finally, a Legitimate Excuse for Playing With Our Lasers! We've made fun in past of Wicked Lasers and their vast inventory of seemingly useless laser devices. 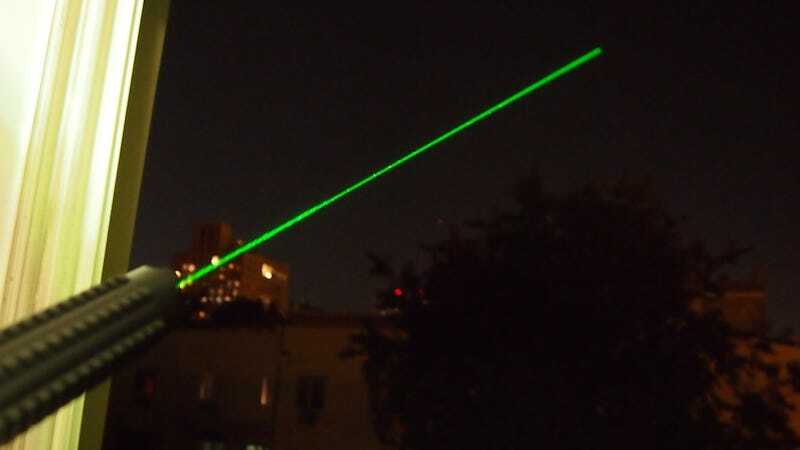 Now, at long last, it seems we've found a legitimate excuse for playing with out lasers. A team of researchers from Leibniz University, in Hannover, Germany, is hard at work on a sophisticated laser that is able to isolate and kill the weeds invading your garden. (Alright, so we aren't actually talking about Wicked Lasers' product line, but still.) The gardening laser project is still in development—but, once complete, it could mean a drastic reduction in the use of potentially harmful and toxic weed-killers and herbicides. Targeting the weed base acutely with the laser whose intensity has been exactly matched is crucial, explains project leader Prof. Thomas Rath of the Institute of Biological Productive Systems, because it has been shown that using a laser of too low an intensity can actually stimulate weed growth—the opposite of the result desired. Right now, the primary challenge for the team has been to accurately target the plats to be destroyed. A piece of software the measures the contours of each plant and optimally positions the laser on each weed species was created after using cameras to record the plants.